Events – Jammie Cats Share! You can now find and wear your favorite characters on onesies, t-shirts, Christmas Stockings, beach towels, and bedding on the new online shop Wearing Art. They make wonderful holiday gifts! And if you subscribe to the Wearing Art website, you’ll always get the highest discounts. New products are added weekly. I was thrilled to be invited to the Authors and Artists Day event at the Pace Library, in March 2018. I met an inspiring range of writers, photographers, and book makers. And I was honored when Terri Urquhart, the Pace Librarian, requested I add my book to their library! 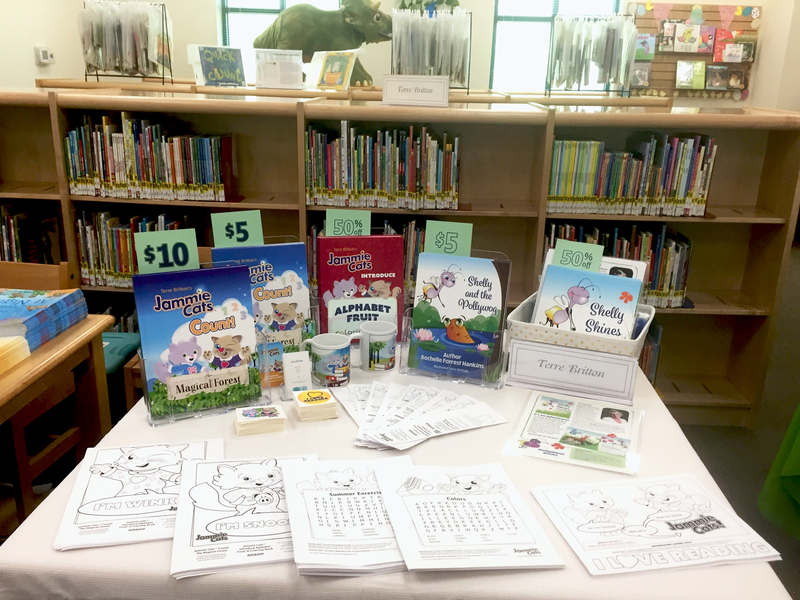 Each newborn in December, 2017, and the 2018 New Year’s baby at Santa Rosa Hospital, Milton, Florida, received the book Jammie Cats™ Count: The Magical Forest. 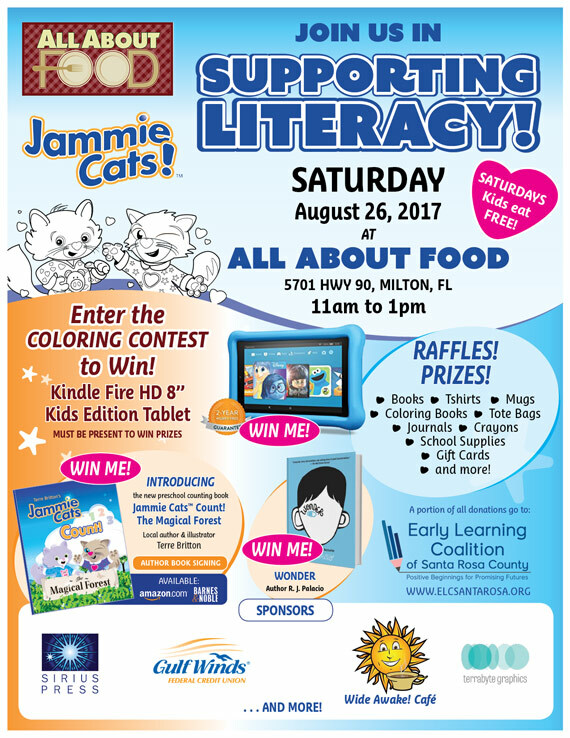 In September 2017, the restaurant All About Food and I teamed up to support literacy and grow the awareness of the local school readiness organization, the Early Learning Coalition of Santa Rosa County. 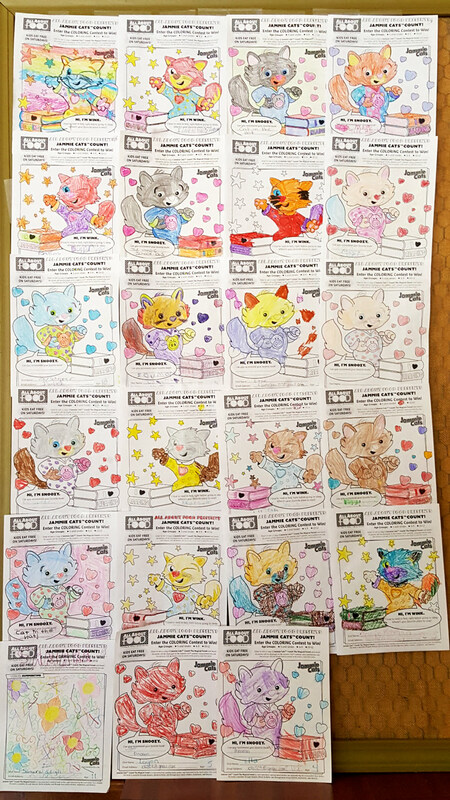 We held a coloring contest, with over 50 entries, in 3 categories: 5 and under, 6 to 9, and 10 to 12. We gave away gift cards, books, crayons, kindles, and more. Everyone left with prizes. Click here to check out the winners!